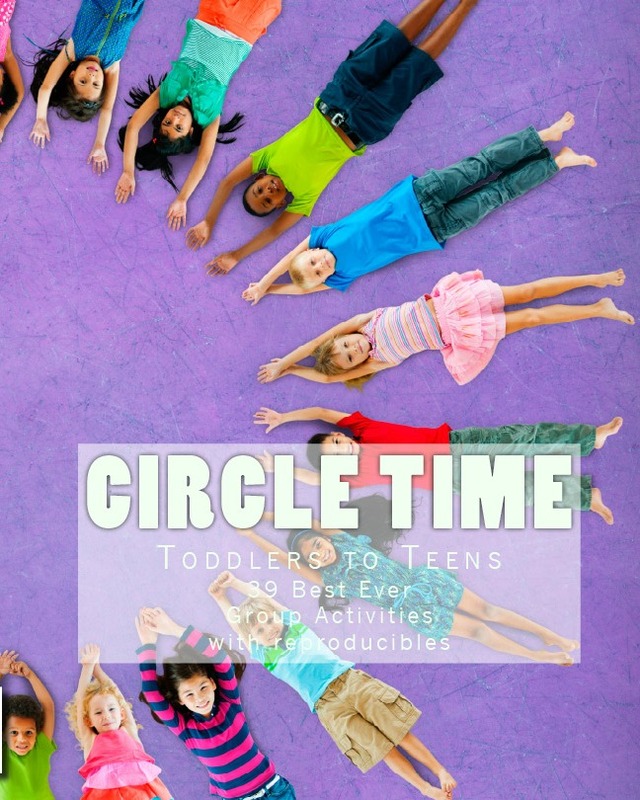 Circle Time is a time for children to learn to pay attention, to make connections with each other, and to have fun. This nature based circle time activity is fun for kids of all ages for summer camp, but is ideal for preschool circle time . Didi from Duck Duck Octopus (She's no longer blogging) shared this awesome nature sensory game for circle time. We learn about the world through our senses. The tart burst of flavor from a fresh-picked blackberry is a tell-tale sign of summer; watching leaves swirl around the sky shows us it's windy; and pitter-patter sounds of rain tells us to put on our wellies for jumping in freshly made puddles. Our bodies absorb a constant stream of information that we assimilate into experience, but we seldom intentionally acknowledge the senses that deliver the information; the information is "just there". and play Nature's Treasure in circle time. The Nature's Treasures mystery game is an activity that facilitates a hands-on exploration of the senses and nature. Kids get to experience how their perception of the world is altered when their senses are limited. The use of natural objects connects kids to their environment, and allows them to experience things they encounter every day in a new way. Gather an assortment of familiar natural objects (e.g. a dandelion, rock, shell, lobster claw, stick, cattail fluff, maple leaf, an animal bone, feather, dirt, etc.). Collect enough items, so each child participating has an item. Make sure your collection is gathered and stored out of sight of your kids. You don't want to spoil the mystery! Place one mystery object in an opaque bag; brown lunch bags are great. Seal the bag with ribbon or a piece of tape. Place the bags in a "treasure chest" (a decorated cardboard box), and bring the treasure chest out for the kids. Introduce the activity by talking about the incredible diversity that may be found in nature. 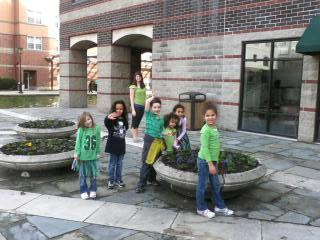 Have your kids offer examples of colors, textures and shapes they may find in nature (e.g. tiny snails; red, orange, and yellow autumn leaves; prickly porcupines; furry raccoons; bumpy shells, etc.). Using the examples provided by the kids, make connections to how people use their senses to experience the world. Explain that each mystery bag contains one object found in nature. They must try to guess what is in their bag without using their sense of sight, sound, or taste. Each child gets a turn to fully explore their object with their sense of touch and smell. If they go to smell the bag, they have to keep their eyes shut, or use a blindfold to help keep the mystery object hidden. The child exploring the item may tell the group about the object based on their sensory observations. For example, if the object is a dandelion, a child may describe it as follows: There is a fluffy, soft part on one end. It is round. The round, soft part is stuck to something that is long and skinny. It smells like grass. Ask the child doing the direct sensory exploration to identify their mystery object. Then open the inquiry to the group. Does anyone think the object is something else? Reveal the mystery object. Hopefully, when the object is revealed most of the kids will know what it is right away. If they didn't guess correctly, this is a great opportunity to ask the kids how their sense of sight, sound or taste would have helped them solve the mystery. 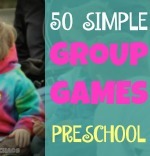 This activity works well with a large group of kids in a circle time setting, and is also fun to do at home as a family. Sometimes, I'll deliberately put a gag item in the bag I explore, just to add a big laugh at the end (think rubber chicken). What is the most interesting object you found to include in your Nature's Treasures mystery game? Didi is a fun mom who likes to make mud pies, stomp in puddles, and fingerpaint. 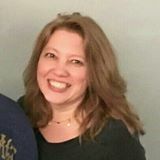 She is also the founder of duckduckoctopus.com, a blog about play-based learning, outdoor adventures, and mindful-parenting. Be sure to follow Didi on Pinterest. Learn some fun facts about the mind behind Duck, Duck, Octopus at Play Dr. Hutch.